This Fixed Magnification Camera adapter set works with all Canon EOS / Rebel DSLR Cameras and will fit most popular Ocular ports. The 2X magnification can even handle Full Frame sensors without Vignetting. 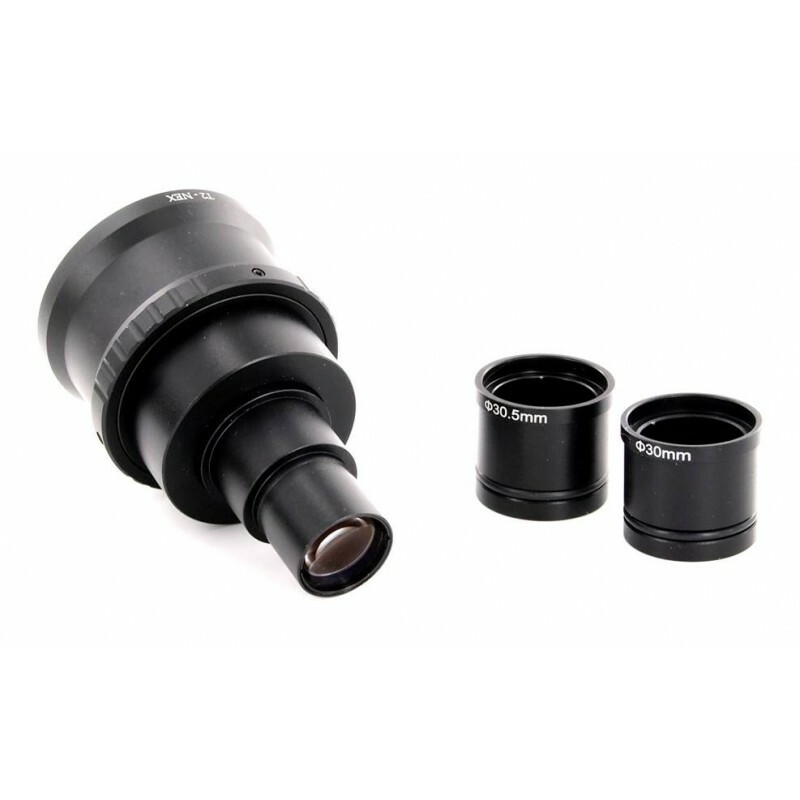 Directly fits 23mm Ocular and Trinocular Ports.